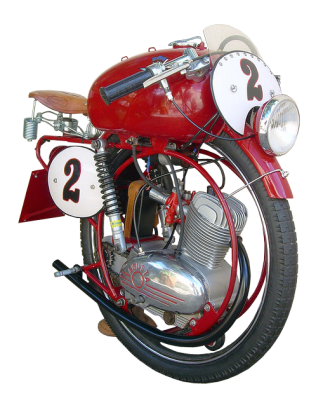 This MV Augusta 60cc Monomoto Superleggera is the experimental machine ridden by young wealthy Italian Luigi Bandini, during practice for the 1954 Milano-Taranto Road Race. Bandini tragically lost control in a misty mountain section, while waving to a pretty spectator. His grief stricken father, Count Enzio Bandini, “The Falcon,” never again permitted anyone to ride or even view this advanced design, and knowledge of its whereabouts faded. 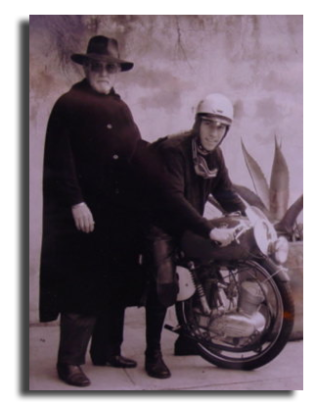 Eventually, rumors of this fascinating machine reached the motorcycling bon vivant Todd Fell. 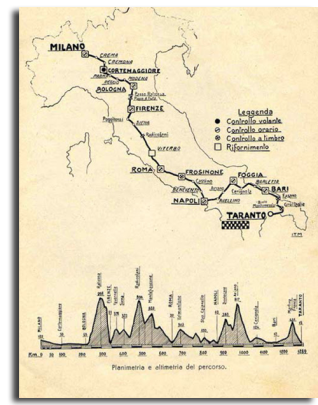 On a trip to Naples, Italy, his quest to find it was rewarded at the Bandini country villa, where in 2004, fifty years after the tragic accident, the late Count’s family was persuaded to part with the treasure.